Frank & Kraft, Attorneys at Law is proud to provide premiere elder law and estate planning services to our neighbors in Hancock County, Indiana. Together, out committed team works with those clients to ensure that they have the best plans available for meeting all their late-life and legacy needs. We will work with you to help you protect your assets and increase their value over time, provide critical incapacity planning to safeguard your family’s future if anything happens to you, and provide Medicaid planning and other important strategies to safeguard your interests. Residents of the area and those who are planning to move to Hancock County, Indiana can rely on the professionals at Frank & Kraft, Attorneys at Law for all their elder law and estate planning concerns. Hancock County, Indiana is located in the U.S. state of Indiana, and is part of the Indianapolis-Carmel-Anderson, IN Metropolitan Statistical Area. Its county seat is Greenfield. The county had a 2014 population of 71,978, a sizable increase over the 200 Census estimate of 55,391. Roughly 70 percent of that population lives in urban areas. Hancock County is named for one of the more famous of America’s founding fathers. Schoolchildren even know the name, as he figures prominently in the signing of the Declaration of Independence: John Hancock, the then-president of the Continental Congress, and the man who so boldly signed his name to that now-famous document. The county was created in 1828 and named in his honor. Median household income in Hancock County is 69,968, which is an increase over the $56,416 reported in 1999. It also compares favorably to the statewide median household income of $50,532. Those incomes are derived from a variety of industries, including health care and social assistance (20%), retail trade (18%), educational services (11%), manufacturing (7%), finance and insurance (5%), and hospitality services (5%). The most common occupations include management (13%), production (11%), installation, maintenance, and repair (9%), sales and related (9%), construction and extraction (7%). Residents in Hancock County can benefit from strategies to protect and grow that wealth, and Frank & Kraft, Attorneys at Law are here to help. As of 2014, the median age of residents in Hancock County was estimate at 39.0 years – two years higher than the statewide median of 37 years. There are more than 26,000 households in the county, with an average size of 2.64 persons. Roughly 6% of all families in the county are living in poverty, including 5.2% of all senior citizens. As is true in so many places, seniors in Hancock County prefer to remain in their own homes as they enter their Golden Years. Many obtain help from loved ones when they start to struggle with everyday chores and tasks. For those whose health deteriorates, long-term care is often the best option. The website caring.com offers a list of the various nursing home options in the county. Decisions regarding nursing home care are among the most sensitive and difficult choices that any family can make. It involves complex concerns that are often hard to manage amid the emotional turmoil of the situation. In addition to locating the right facility to meet the senior’s needs, the family must also confront the reality of paying for care that can cost many thousands of dollars a month. At Frank & Kraft, Attorneys at Law, we provide the assistance families need to determine their best options. We can also provide Medicaid planning and other strategic services to ensure that those seniors have the financing they need to pay for their nursing home stays. Anyone considering a move into Hancock County will likely want to review some housing and labor information prior to making a commitment. Fortunately, we have details about those demographic concerns that were compiled in 2013. They can provide data that you can use to compare the area to other locales. The median house and condo value in Hancock County was reported to be $154,700 in 2013. That’s up from the 2000 estimate of $130,700. It’s also higher than the statewide median of $131,000. The median monthly contract rent for the county is at $700, which is higher than the statewide median cost of $603. For businesses that might want to move their operations into the area, the labor force is well-educated and dynamic. Nearly 88% of residents age 25 or older have at least a high school education, while more than 22% have a bachelor’s degree or some higher level of education. The unemployment rate is roughly 4%. The county seat of Greenfield serves as the location of the Hancock County Circuit Court responsible for handling guardianship and probate matters. That court can be found at Hancock County Courthouse, 9 E. Main Street, Room 302, Greenfield, IN 46140. It is open for public business from Monday through Friday, between the house of 8:00 AM and 4:00 PM. Persons with questions for court personnel can reach them at (317) 477-1107. Probate court is important for ensuring that incapacitated persons and minor children have access to court-appointed guardians who can ensure that their interests are protected. If you have issues that need to be resolved in the probate court, the Circuit Court’s officers can often provide guidance to aid you in your efforts. 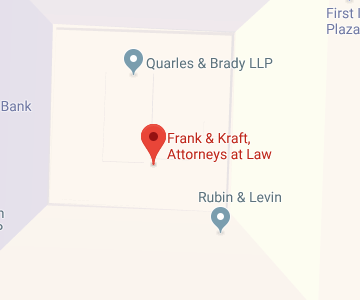 Here at Frank & Kraft, Attorneys at Law, we can assist you as well. We offer guidance and assistance for executors, and the estate planning help you need to keep your estate out of probate entirely. At Frank & Kraft, Attorneys at Law, our team is committed to providing you with the best estate planning and elder law services available anywhere. We’ll work with you to evaluate your needs, and can aid you in selecting planning strategies that will work to accomplish your goals. Whether you need probate administration assistance, help with wills and trusts, long-term care guidance, or help with financial and retirement planning, we’re here for you. To learn more about how we can help you, call today at (317) 684-1100, or contact us at our website.